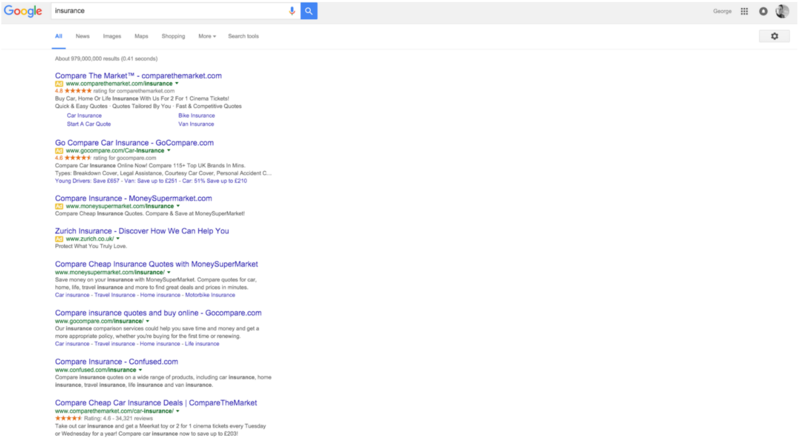 One of the biggest developments in Digital Marketing this month and for a long time is Google’s new SERP layout. Google has been testing displaying four adverts on its results pages for a fair few months now and many of you will have noticed the larger amount of space that paid ads are taking up. However, at the start of this week they finally issued a global rollout of four top ads and the complete removal of side ads. Larry Kim has weighed in on the possible implications of this update, suggesting that winners in this change are PPC Marketers in general but specifically Shopping campaigns and ad position three. In his eyes, the losers are ad positions 5-11 as they all now fall further down the SERPs. Here at Studio-40, we’ve been musing on what could replace the side ads and fill the huge white space that you now see on desktop. Will the space for Shopping ads be extended? Will knowledge boxes become more prevalent or will autoplay video ads be introduced? Let us know your thoughts in the comments below! We’ve all seen the huge numbers of referral spam from sites such as “free-share-buttons.com” in our Google Analytics accounts and wondered how we can prevent these annoyances from skewing data. There are even workarounds, such as creating custom filters, that can block these spammy sites but up until now, they have been long winded and time consuming. PaveIQ is a free tool that automatically removes referral spam after you grant it access to your Google Analytics account. This could potentially save us, as a Digital Marketing Agency, heaps of time and energy. We’re currently testing it out in the office and will make sure to keep you updated with any findings or issues we glean from our experiments. Facebook has recently introduced a long awaited variety of reactions to go alongside their traditional ‘like’ button. Rather than only being able to ‘like’ posts regardless of your reaction to them, you can now react by posting a ‘wow’, ‘sad’, ‘love’, ‘haha or ‘angry’ emotion. What does this mean for agencies, businesses and users alike? Well it certainly allows you to convey more emotions to a Facebook post rather than a simple like and we’ll have to wait and see whether this update increases engagement. As of this week, Facebook have also rolled out their completely overhauled ad platform by introducing ‘Canvas’. It’s essentially ‘Instant Articles’ for advertisers allowing us to provide users with a much richer and expansive advertising experience. The adverts, when clicked, look just like microsites that are hosted on Facebook rather than your own site and allow brands to deliver a lot more product/service information and to advertise without making a user click through to your website. This is certainly an exciting development and one that we will be watching closely to see if any real gains can be made. According to Twitter, over 100 million GIFs were shared on the social networking site in 2015. It doesn’t come as a surprise then that the latest update from Twitter allows users to share GIFs easier and quicker than ever. Whilst the button is exclusively on mobile at the moment, there are plans to roll it out on desktop soon meaning that you’ll be able to share your favourite cat GIF from the comfort of your computer or laptop! Will this ease of access to GIFs benefit social media agencies, for example, as we know that posts with imagery get more interaction? 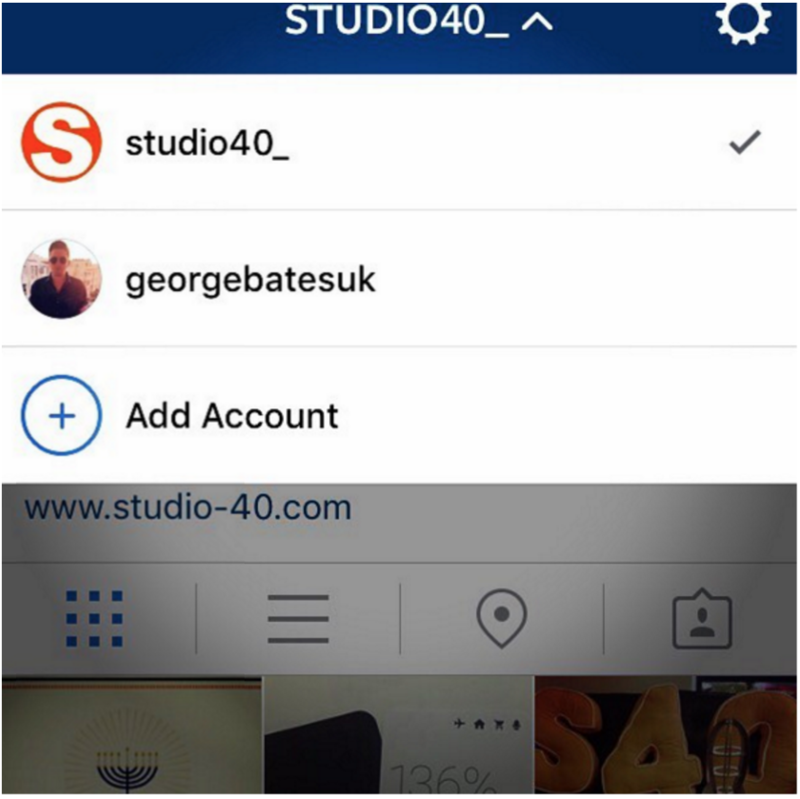 Another social media platform update and this time it’s the addition of account switching on, the increasingly popular, Instagram. Before this update it was a hassle for any user who had multiple accounts to access either; having to log in and out to post, ‘like’ or comment. Now you can instantly switch between accounts after a few taps of the screen and access up to five different profiles. This is great news for agencies who handle multiple accounts and may be seen as another signal of Instagram’s ever growing foray into, making the platform profitable for advertisers. Google’s Display Network is a great tool which allows you to place adverts across the web in a variety of sectors and to a multitude of different demographics. However, could you be wasting budget by automatically and subconsciously allowing your Display ads to appear on irrelevant Mobile Apps? Now this isn’t breaking news but it is something that often goes unnoticed and is a great way to fine tune your account, reducing wasted spend that you can then pour into more relevant campaigns. 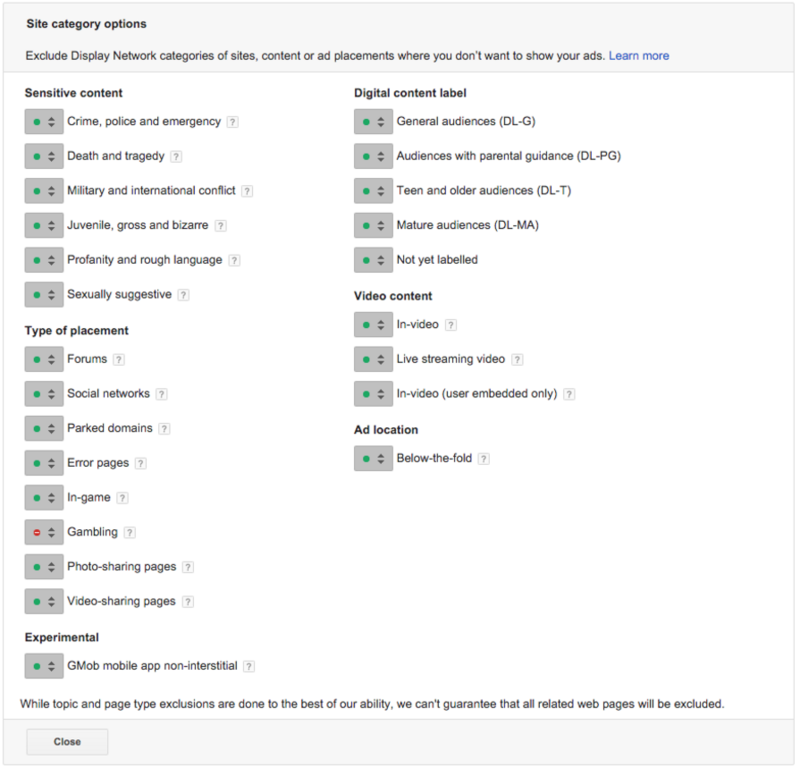 Check out this blog on Wordstream that details exactly how you can exclude irrelevant mobile apps from your Display Campaigns in AdWords. Have any questions about the developments explained in this month’s article or about how we can help your business improve their online presence? Then get in touch via email or tweet us!